David P. Swenson is an intellectual property litigator with extensive experience in trial courts nationwide and before the U.S. Court of Appeals for the Federal Circuit. He also advises clients on the valuation and management of IP assets, plus related business strategies. 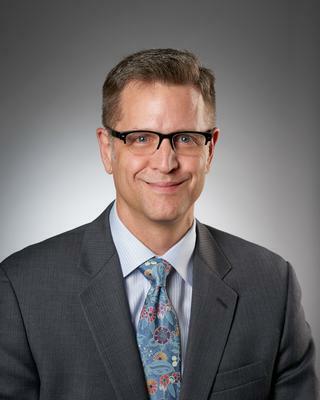 David has earned a reputation as an innovative trial lawyer and thoughtful appellate advocate, defending technology companies, as well as their patents and other IP, in venues including the PTAB, ITC, and FTC, in addition to district courts, the Federal Circuit, and the Supreme Court. T-Rex Property AB (2014-2017): Lead counsel for Swedish digital signage pioneers in several matters vindicating their patent rights, including defeating invalidity motions based on Alice v. CLS Bank and §101, along with winning denials of multiple petitions for IPR and CBM review. TiVo Inc. v. Verizon Communications Inc. (E.D. Tex. ): Represented TiVo, including presenting TiVo’s Technology Tutorial & Markman arguments regarding Verizon’s patents, in DVR litigation that led to a significant settlement for TiVo in Sept. 2012. Extreme Networks, Inc. v. Enterasys Networks, Inc., 395 F. App’x 709 (Fed. Cir. 2010): Argued successfully for reversal of adverse claim construction and vacation of non-infringement summary judgment. Imation Corp. v. Koninklijke Philips Elec. N.V., 586 F.3d 980 (Fed. Cir. 2009): Convinced the appellate court to reverse entry of judgment on the pleadings dismissing two of Imation’s key counts, and instead to order judgment for Imation on the question of whether certain entities formed or acquired later qualify as “subsidiaries” that could benefit from Imation’s patent license with Philips. Negotiated complex multi- agreement, three-party settlement to conclude worldwide litigation. General Mills, Inc. v. Kraft Foods Global, Inc., 495 F.3d 1378 (Fed. Cir. 2007): Obtained affirmance of a district court decision that Kraft failed to maintain its counterclaim after General Mills filed an amended complaint, in a case of first impression before the Federal Circuit interpreting Rule 12(a)(4)(A), involving Fruit by the Foot®. NCR Corp. v. Netscape (D. Del. 2001): Successfully defended Netscape in suit initially asserting 29 patents, resulting in dismissal of two-thirds of patents originally in suit and a very favorable settlement. University of Minnesota, Minneapolis, MN; 1994, J.D.